Wentworth Bookcase. 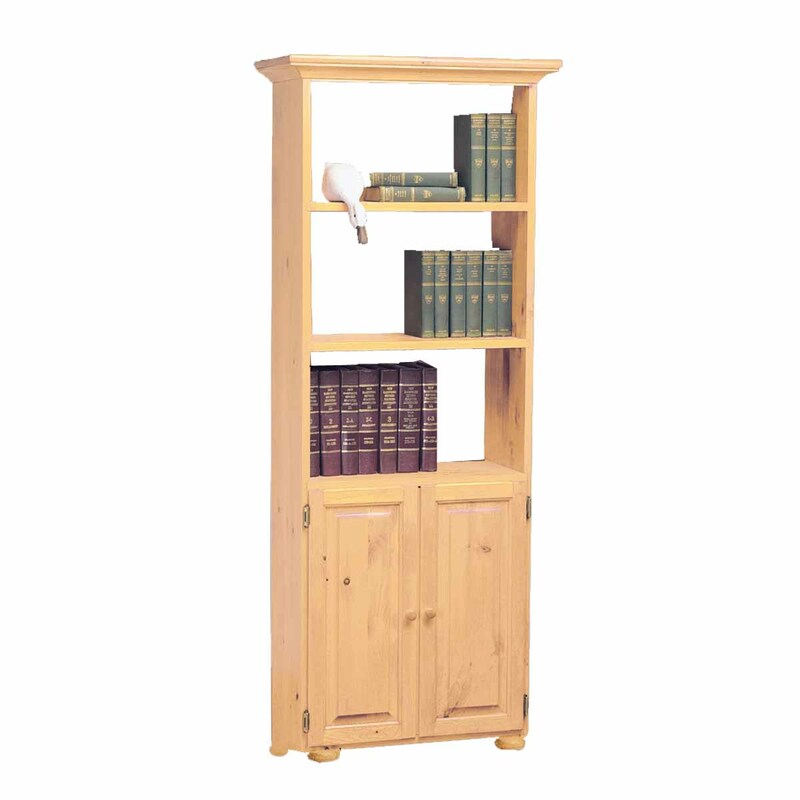 Made of solid pine this bookcase features crafted molding at the top and bun feet at the bottom. 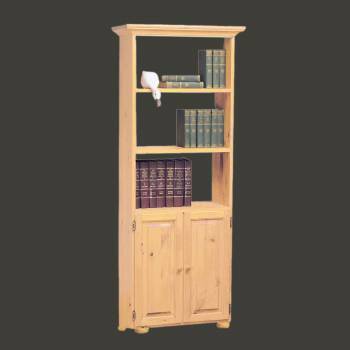 Bottom double doors allow for extra storage. Comes in a country pine stain finish. Measures 68 in. H x 29 1/4 in. W x 9 1/2 in. deep.